Never fear, you can do this. I finally figured the basics out after lots of research, hard work and false starts (well, at least enough to share what I learned with you). Explore this site to teach you all the information you need and skills you must master to Ace the class, "Household Management 101." If you are looking for help with a specific problem, go ahead and jump to the section you need and start to solve your problem. However, if everything seems to be a problem, or you cannot figure out where to start, then take small steps, and tackle one area at a time. Look in the "Getting Started" section for suggestions. This site provides you with practical knowledge of how to build habits and routines for both adults and children, the cornerstone of home management. 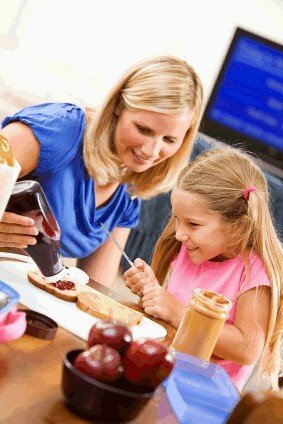 It also also explores how to involve the whole family in this process, and how to pass these skills on to your own kids. After all, you are learning to be a manager of your household, so you need a household to manage. Otherwise you are just a maid. That is definitely not what I have in mind for my role in my own home, and it does not need to be your role either. Everyone is capable of being an effective home manager, whether full time or as one of the many roles you juggle in your family. And every family can learn to work together to keep their home a happy place to live in. The busier you and your family are, because of work, school, or family size, the more important it is for you to learn household management skills. Home management allows you to enjoy your home and family. Isn't that what we all want?